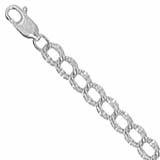 We recommend Girls Charm Bracelets 7" with lobster clasp which you can clasp at 5, 6 or 7 inch lengths, then let them out as your child quickly grows. 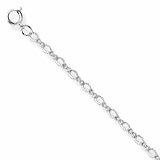 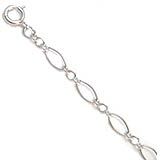 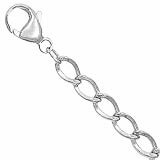 "Girls Charm Bracelets are built to last and backed Rembrandt Charms Lifetime Warranty" Add a small accent charm to the end of your bracelet or just let the end dangle. 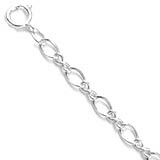 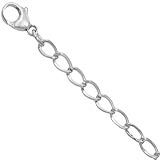 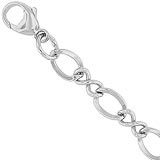 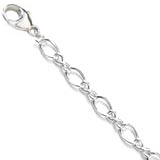 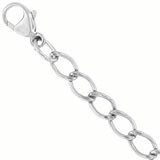 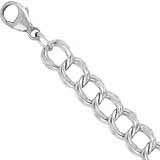 Sterling Silver Charm Bracelets for teens are hand crafted for exquisite detail and finish to bring you a collection to be proud of that can be passed on as a family Eire loom.  Relive life's most treasured moments, places you visited, sports you excelled at or your wedding and starting of your family. 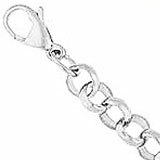 Start collecting today your favorite bracelet charms Rembrandt's Lifetime Warranty, Charm N Jewelry a Rembrandt Charms Authorized Dealer will gladly handle all your warranty repair or replacement of Rembrandt Jewelry. 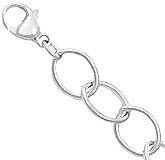 Charm n Jewelry your original online factory direct store since 1997 for Rembrandt Charms, charms and charm bracelets.